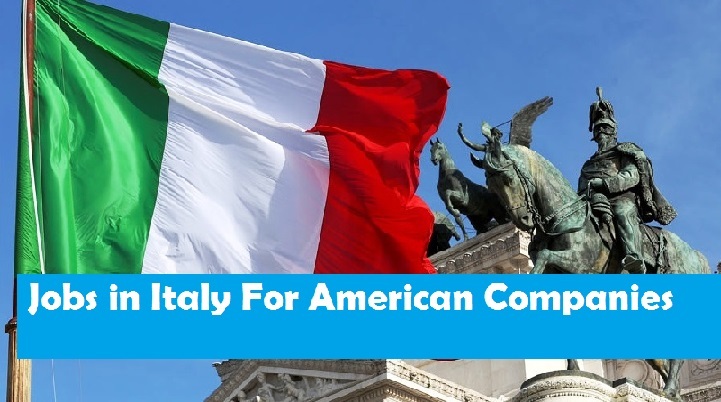 Whether you are an American citizen looking for a workplace transfer to Italy or just someone looking for work with a reputable American company, finding out more about jobs in Italy for American companies may be high on your list of priorities. If you are an English speaking ex-pat, finding a role within an American organization should be relatively simple and there are a number of both well known and less famous American businesses with a presence in the country. Italy is one of Europe's largest markets and therefore it represents a major element in any European export strategy. This is why you can find American companies across a broad range of industries spread nationwide. In Which Italian Cities Can You Find American Businesses? While you will find American companies spread out across the whole of Italy, there is a greater concentration within the country's larger cities. Of course the capital Rome has a larger number of US firms, however Florence is also a hub of American activity, as is Milan. In Which Sectors Can You Find American Companies In Italy? If you are already a US citizen, one of the best ways to find a job working for an American company in Italy is to seek employment with a US branch of the same company first and then request an internal transfer to one of their Italian branches. Usually however, you will have to have worked for the company in question for a set period of time before being able to relocate to an international branch, usually at least a year and often much longer, and this is worth bearing in mind if this is the route you are planning to take. Some US companies also offer exchange programs for a set period of time, allowing their employees to work for up to 3 years in one of their European hubs. This is an excellent solution for someone who is interested in experiencing the Italian way of life for a short period without making a permanent move to the country. If you are not an American citizen or are not already employed with a US company that has an office in Italy, one way to find a job with an American company in Italy is to search the internet. Visiting the website of any American firm with an international presence is a good way to check the availability of jobs in their Italian bases. You will often be able to apply for positions directly through the company website simply by completing the online application form or by emailing a CV and covering letter to the firm. There are also several job seeking websites aimed at ex-pats looking for a job in Italy. Websites like TheLocal.it and JobsinMilan.com are a good place to begin your job search as they list multiple positions across a broad spectrum of sectors and at all levels of experience, so there is sure to be something that matches your skillset. It is important to note that many job applicants from outside Italy will require the appropriate work visas if they wish to relocate to the country on either a short term or long term basis in order to work for a US business. EU citizens do not require any special work permits, and American citizens who are transferring between branches may also have a different procedure to follow in order to move legally to Italy. It is also important to note that even if you are working for an American company in Italy, a working knowledge of the Italian language is often required.